Yes, I want to gain respect, career opportunities, and wealth — all by gaining a verbal advantage in any encounter. I can order today at a special discounted price! Hurry…time-limited offer. Imagine, in short, that you could ACHIEVE EVERYTHING YOU WANTED in life, with NO LIMIT TO YOUR SUCCESS except your willingness to strike up a conversation. That's what The Best-Kept Secrets of Great Communicators offers you. The audio sessions in this program convey more information than books ever can, because you can pick up on the tone being used - itself a vital element in communication skills. And you can listen to each session as many times as you like, each time picking up something new. If you order now, you will also get a FREE bonus audio session to teach you how to tell if someone is lying, entitled Lying Exposed. Everyone who lies gives off certain unconscious signals when lying. From noticing their physical movements and posture, to picking up on their voice tone and inflection, you will always be able to spot a liar once you have this bonus recording. So even if you run into someone who is a master of conversation, if that person is trying to manipulate you, this bonus session will clue you in to what's really going on. No one will ever be able to take advantage of you in any way ever again. I'm waiting to send you The Best-Kept Secrets of Great Communicators System, along with your FREE bonus session, Lying Exposed. 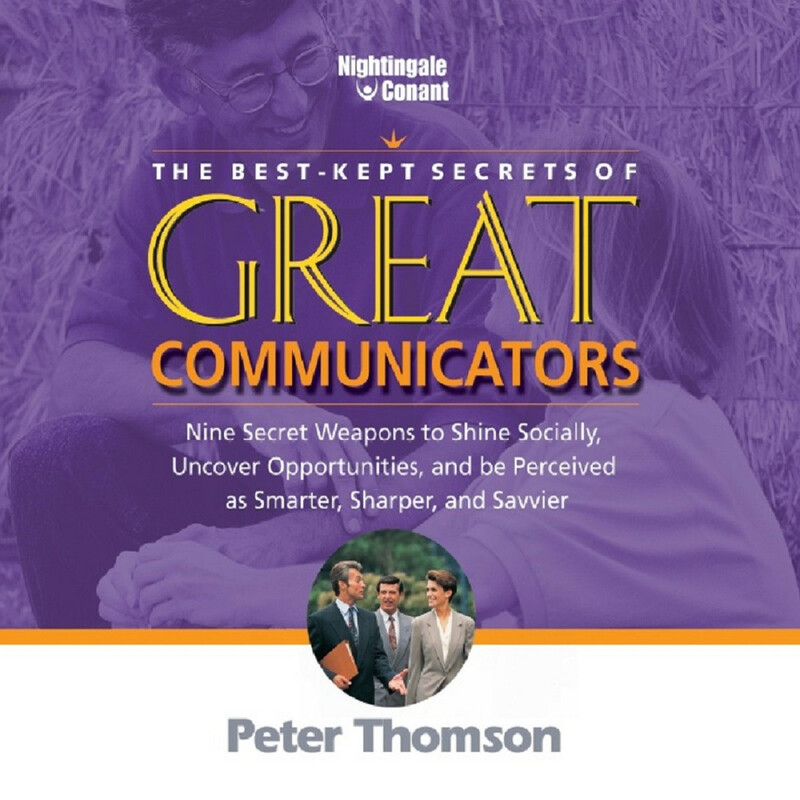 Just one of Peter Thomson's powerful communication secrets could change your life... and in this package you'll find more than 300 of them!